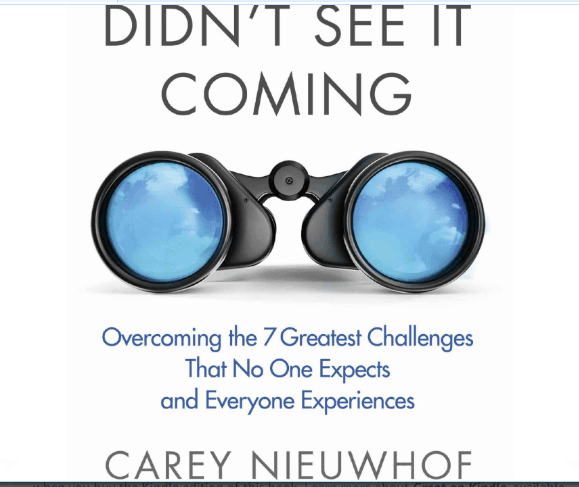 Carey Nieuwhof continues Chapter 4 of Didn’t See It Coming as he talks about three ways to start the process of changing yourself from the inside out. Today Carey covers the first two ways. 1. Take responsibility. First, Pastor Nieuwhof observes, you evade responsibility whenever you blame others, invent justifications, or craft a fresh excuse. Hence, progress begins with self-honesty. In fact, the author views self-honesty as a powerful investment in a better future. Most noteworthy, Carey states, you start to make progress when you start to admit that you’re the problem. However, blaming everyone and everything else fails to reshape your character. Furthermore, you can change jobs, careers, cities, or spouses. But unless you change your character, the gap between who you are and who you want to be remains. 2. Make your talk match your walk. Pastor Nieuwhof cites research showing that the average person hears up to two hundred lies a day. In addition, 60% of people lie during a typical ten-minute conversation. Also, Carey states, people tell lies for many reasons. Almost always, he asserts, people lie because they’re compromised either in some way or to some degree. In fact, when you’re compromised, you tend to exaggerate and embellish. Yet, when you admit who you really are to people you respect, the resulting shame and humiliation motivates a big shift in behavior. Today’s question: Do you tend to blame or own up to your own faults and failures? Please share.